Local flavors, vibrant colors and infectious atmosphere often found in markets give us great insights into the way people live, eat and interact. Whether these are souks or antique fleas, markets show us local culture and traditions and provide us with the rare opportunity to get beneath a country’s surface. Whether you’re a history buff or an adventure seeker, we recommend a visit to the market regardless of where your travels take you. From Brazil to Hong Kong, here’s our list of the top 10 markets around the world. Every Sunday, this amazing market is held by hippie artisans in Rio Janeiro’s Ipanema district. It gets bigger and bigger each year and nowadays you can find the work from the best Brazilian artistes. 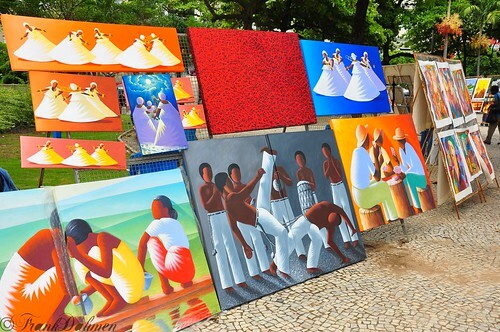 This fair is visited by tourists and locals alike who are looking for unique paintings as well as various types of souvenirs ranging from famous havaianas flip-flops to traditional musical instruments. Psar Thmei, located near Soriya bus stationm, is also known as the Central Market as it’s where everyone comes for food, art and knick knacks. With its X formation, giant yellow dome and art deco architectural style, the market building stands as a landmark. You can find everything you can imagine here, but the most interesting are probably the food stalls that sell cooked insects and wriggly shellfish. Beautiful blooming flowers are everywhere at this traditional market in the Dutch capital of Amsterdam. Between typical Dutch buildings stand this Bloemenmarkt, in the heart of the city, next to the Munt Tower. Get ready to soak in the fragrance of the flowers and the beautiful feast of colors. You can find all kind of flower-related from seeds to unique bulbs or its famous tulips. 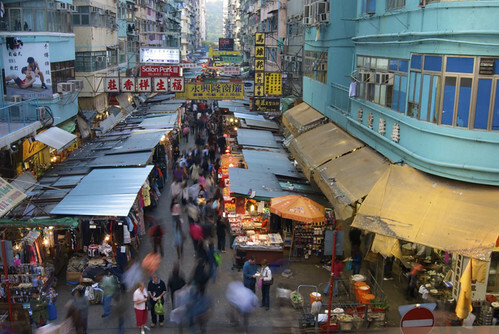 Sprawled across Tung Choi Street, Hong Kong’s famous Ladies Market is located in Mongkok, one of the liveliest neighborhoods in the city. Going to this market is a must since you can find a lot of name brand clothing and accessories that normally would cost you a fortune. Packed to the brim especially in the evening, the market can be quite hard to navigate. Whether you need a suitcase or fake Chanel handbags, this is the place. 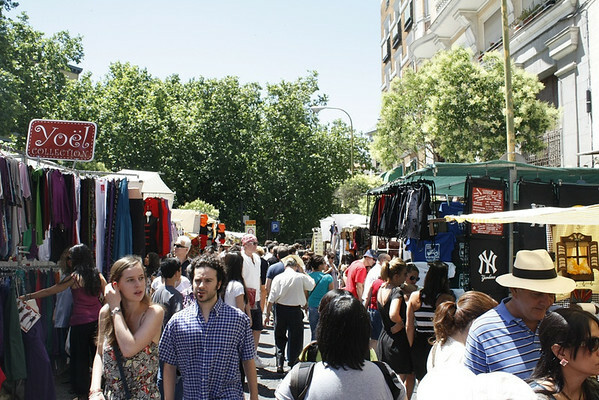 El Rastro is a large flea market with a massive array of vintage clothes, antique, accessories and military memorabilia on sale. It sprawls the famous Lavapies district in the city center of Madrid and you can easily spend hours wandering through its stalls and stands. Besides quirky ware, there’re also street artists and performers providing a artsy atmosphere to a lazy Sunday. 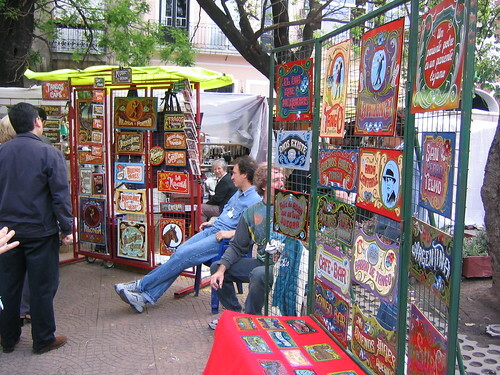 Every weekend, the porteños find themselves wandering through the San Telmo Market, between the 25th May and 9th July Avenues in downtown Buenos Aires. 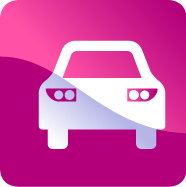 Most of the articles you find here are from wealthy families who have inherited these precious processions from past generations. You’ll find everything from leather bags to antique brassware and war memorabilia. Near Siem Reap and the Tonle Sap Lake, there’s a little town where the local market is famous among Cambodians. It’s impossible to access this area in rainy season, but come dry season you’ll be able to weave through the small channels and drift by boats with local produce and groceries on offer. 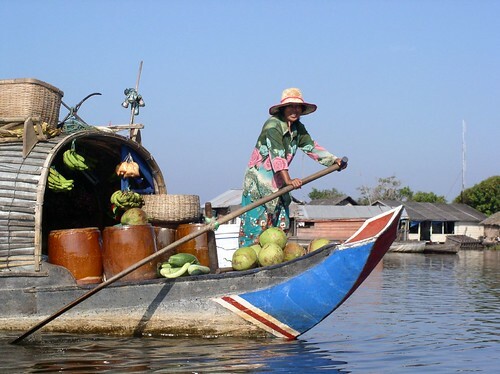 The floating market sees locals selling organic vegetables, tropical fruit, and preserved fish – giving an interesting glimpse into local culinary fare. Every morning, this covered market awakes to find a buzzing atmosphere. 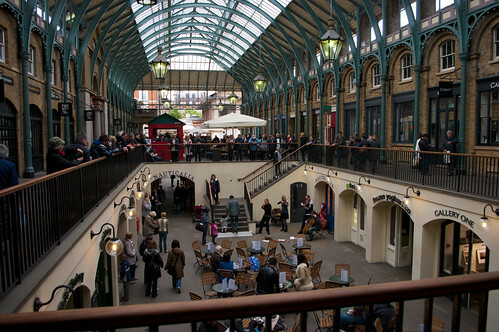 Covent Garden is an excellent experience especially for tourists, with rows upon rows of Victorian-style cafes, teahouses, and boutiques. You can sit and have breakfast in one of its lovely cafes while listening to the street musicians performing outside, or go shopping in its charming boutiques and pick up one-of-a-kind souvenirs. More than 200 little open shops make up the largest silver market in Mexico City. A covered place in the famous Pink District, artisans from all over the country gather here to sell all kinds of silverware and jewelry. Before you buy a bracelet or a necklace, you must know that the prices are related with the silver weight and be sure to learn some tricks of haggling. 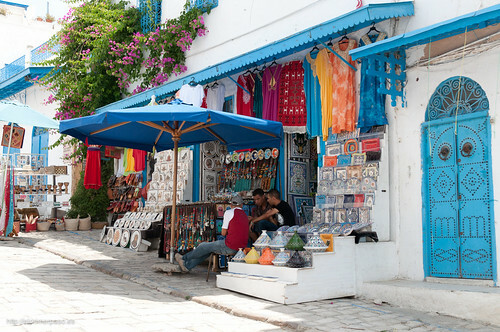 This souk retains the colors and structure typical of the town, with white walls, blue doors and windows, which makes it a great place to visit just for its architecture. 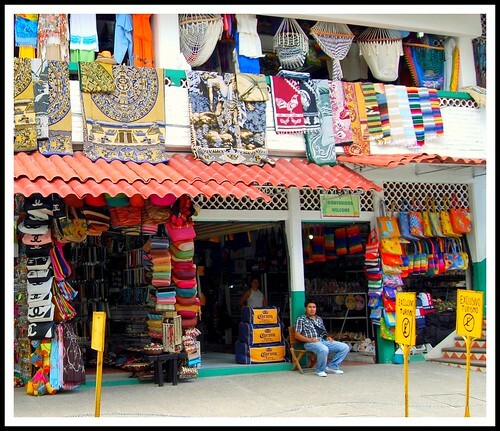 Artisan stalls are arranged by types of products from the most important, like perfumes and carpets, to little silver souvenirs. Have you been to any of these markets? Did we miss out any of your favorite markets? 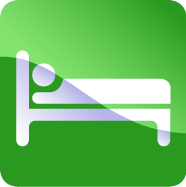 Share with us in the comments field below! 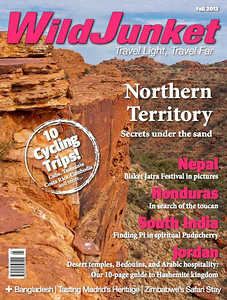 Sara is passionate about traveling and she loves writing about her travels on her blog, Mindful Travel. 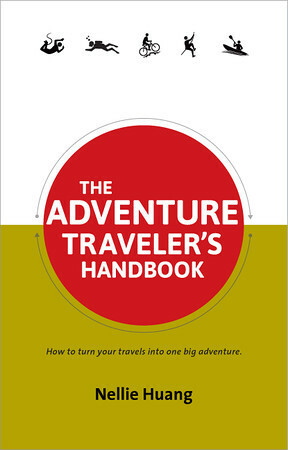 She shares her experiences and feelings and hopes to inspire people with her desire and excitement for travel.